After my experience this past Saturday , I have to explain my philosophy about talent shows. I don't really have to. It just makes me smile to think that. Anyway, there are two kinds. In my book. There's the open-mic type, where we throw ourselves a little talent party, and we entertain each other and all have a good time. I've been involved with a couple of these, and it's great. The second kind is what we did this weekend. We try to produce a show that entertains an audience, who are generous and donate to the cause and thus deserve our best effort. That was my goal, then, and it worked out well. There was one woman who decided at the last moment that she'd like to sing along to a YouTube video of a Christian pop singer. There are at least three things in that sentence that fill me with some dread, but even that was fine. The whole afternoon was just fine. Do you know Hamilton? I would think that you would, but now I can think of reasons you wouldn't. Might not be all that interested in theater, or musical theater. Might not be on your radar. It might not be the kind of music that appeals to you. Lin-Manuel Miranda's hiphop version of a founder was designed to snare me, I think. I'd read Ron Chernow's book (upon which it was based) at least twice before I even heard of Miranda. I love this stuff, our early stories. The revolutionary era was my favorite in American history, going way back. Big fan of Lafayette in the seventh grade, I remember. Weird kid. My wife began playing the Hamilton soundtrack constantly about two years ago, I think, and it seeped in. I eventually got onboard, and the opening number was always my favorite. 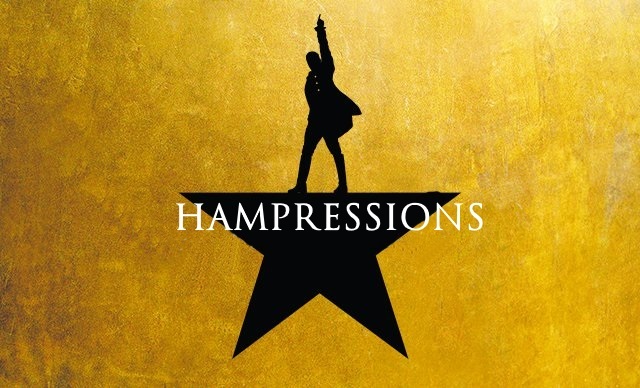 Just called Alexander Hamilton, it sums up the story about to unfold, and it's an exquisite example of wordplay that brings to mind Sondheim and Hammerstein (and Jay-Z). The meter is addictive and the lyrics tumble out faster and faster as the music forces the pace. And at some point, it struck me that all of this, the rhythm and words and meter, reminded me of something, and I figured it out eventually. One night at choir rehearsal, we were talking about the show and I demonstrated what I'd noticed, that the opening verse worked very nicely when recited in Howard Cosell's voice. Howard Cosell. One of those figures who was everywhere when I was a young man, instantly recognizable. You knew his voice when you heard it, or you heard it imitated. These days, who knows? Celebrity is mostly ephemeral, and that's the rule and not the exception. I'd be surprised if someone under the age of 45 was aware of this guy, a sports journalist with an abrasive style that made him hated and loved at the same time. He was just easy to imitate, and the choir thought my Howard-Hamilton was funny. "You should do that for the talent show!" they all said, and I thought, Hmmm. The provenance of Cosell's announcing style isn't hard. From the earliest days of broadcasting, announcers favored a rapid, clipped, hyper-enunciated speech pattern. Think Walter Winchell, Edward R. Murrow, Walter Cronkite, David Brinkley (if you can, I mean). Keith Jackson and Vin Scully, too; sports guys just exaggerated the style and made it theirs. So I get Howard Cosell, and I immediately saw the Hamilton connection. Just do the voice and the song sings itself. But maybe not the whole song. So I started thinking of other voices I could imitate for other verses. I didn't want to just do old-fashioned voices. I tried Tom Brokaw for the second verse, and Morgan Freeman for the third. Liam Neeson took the next, followed by Sean Connery, followed by Alec Guinness, Christopher Walken, Sylvester Stallone, William Shatner, John Wayne, and Clint Eastwood. I had an act. I'll note that some of these voices are easy, and in my wheelhouse. Some are barely impressions, just tossing out a phrase or two to be funny. And some of them need concentration. Morgan Freeman's voice is very recognizable and not hard to imitate, but placement is crucial and it's hard to reach at times. And this song moves very fast. Switching rapidly between voices was going to be part of it, and I figured if one of the voices sucked a little, it would be replaced quickly. Miranda released a karaoke version of Hamilton pretty soon, maybe understanding how fans liked to sing along, so I had that to begin with. Since part of the number involves a chorus of sorts, and I wasn't about to get one of those, I edited together the karaoke and the original cast recording to get backup singers, and I was pretty proud of that edit (considering that both versions are in the same key but at different tempos, slower with the karaoke). Understanding that it really helps if people have a visual reminder of the people whose voices are being imitated, I made a slideshow of photos and names, attaching my edited sound file and syncing everything up. I tossed in some Monday Night Football credit sequences from the 1980s at the beginning, and the whole thing took me hours to get right. I even constructed a logo for the beginning, to be paused and frozen while I introduced the act. Just hit the space bar and the video will take off, and once it does there was no turning back, of course. And the guy I persuaded to help me maybe didn't quite understand, and why should he have? I didn't really explain. I just said, push this button and then push this one. He didn't have the whole picture. Problems started immediately. For some reason, the playback volume had been set low, even though I'd marked it as much higher before the show. I couldn't hear the music, and you have to understand: this is essentially a rap. Rhythm is everything. You can't hear the beat, you're going to get off. So I got off. My wife sat at the piano and plunked out bass notes for me, the score in front of her, trying to guide me back onto the beat, and that worked out OK. But the wandering off and the trauma of not being able to stop and start over, and the overall pace, just meant I lost the focus and accuracy of the voices. Morgan Freeman really did not show up. I'm sure Liam Neeson just baffled people, and it took me half a verse to find John Wayne, of all people. And then my helper misread my frantic gestures to increase the volume, and he turned off the video. In the middle. So, you can see how it might be a little humiliating. It was awful, and it didn't need to be. And it was also fine, because c'mon. These are my friends. They would think anything I did was just fine, probably wonderful, and the whole show was a big success. The only black cloud was hovering over my ego, nothing else. And my ego is fine, too. I will survive without nightmares or constant reliving. It's already past. I just think there was a lesson here, for me. I wasn't exaggerating the disaster aspect of this; my wife and son, who both had encouraged me in this and laughed along the way as I worked out stuff, were horrified and angered that it got screwed up, after all that work. They got it, if no one else did. Because no one else cared, and they shouldn't. This wasn't about me, or any one performer, and as per my high-falutin' philosophy up there I should have known this. And as I said before, I learned that I don't really have the hearing acuity anymore to do stuff like this, depend on an inadequate sound system and shaky speakers to hear a complicated soundtrack. I'm not deaf by any means, but I hear less well and discrimination is sometimes tricky. Maybe not do this so much anymore. Maybe do other things. And maybe get over myself, and appreciate the success of this venture, which is all good. We're sending 10 people to an orphanage in Honduras for abandoned and disabled kids. They go in the summer and do hard labor, essentially, hang out with the kids and just show them that others care about them. There's no evangelizing or witnessing or any of that crap; we're Presbyterians. We do potlucks and work at homeless shelters. We form committees. We peel potatoes at orphanages, and send tons of books. I don't think these kids need their souls saved; we might, and that might be a good reason to go, but you know. We go because it makes us feel good to help. Unearned suffering is redemptive, said Dr. King, but I think you can be redeemed by a little earned suffering, too. And I really didn't suffer. Except I could have nailed Morgan Freeman, and I didn't, but again: that's really all about me. I just read that last sentence in his voice, by the way. Yeah. Nailed it.